My name is Chris Veith and I am a photographer with a vision for creating images that feel alive. I primarily work in New Jersey and New York City. I also spend part of my career shooting in Milan, Italy. Creating a photo is much more than pushing a button on a camera, each click is a process, and it takes a special eye to find the correct frame, lighting, mood, and timing of each shot; photo composition is of the utmost importance. 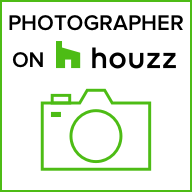 As shown, I do a wide range of photos from interiors of homes / hotels, models, head shots, food and all kinds of social media photography for clients. Unauthorized use and/or duplication of these images and materials without written permission from Chris Veith is prohibited.